In a blender, process the cream, cheese and sugar. Whisk your yolk, egg and vanilla. While having the motor running add the egg yolk and vanilla. Transfer to a pot on low heat. While stirring constantly, keep stirring until it is thickened. Pour to another other bowl and cover with cling film. Fridge until use. In large bowl combine all the ingredients. Knead for 5 minutes until a smooth ball forms. In an oven place a bowl of recently boiled hot water. Place cover dough ball in an oiled bowl. Place in oven. Allow to proof for maximum 40 minutes. Do not over proof as this can leave you with flat buns. Bake bread for 25 minutes. Alternatively, once they reach 185c on an internal thermometer they are ready. Cool for 5 minutes then carefully turn it out. Serve with custard dip. Best on the day it is made. `i totally agree and don’t even own a TV. And I like Revenge as well, hahaha. I also like this custard. Thank you Marta. I am addicted to revenage. The custard is great as a dipping sauce for fruit too. That statement makes me so angry! 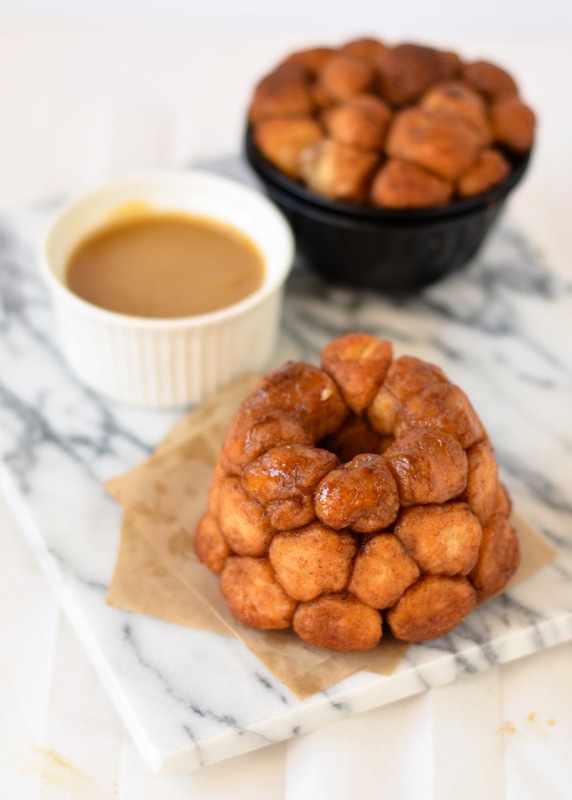 But this, this monkey bread – it’s my heaven! I watch Revenge religiously – no shame! This monkey bread… dear lord, I need! 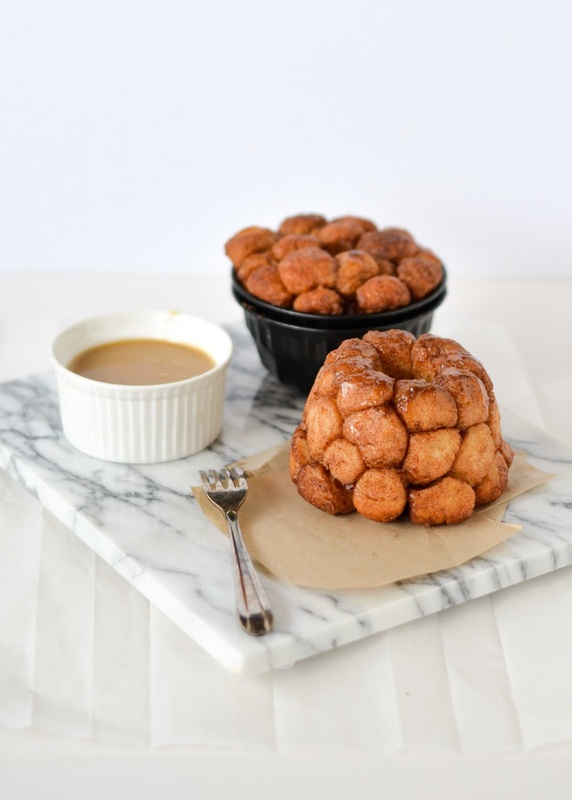 Thanks Ashley, I only discovered monkey bread recently and now I have lot of eating to catch up on lost time!